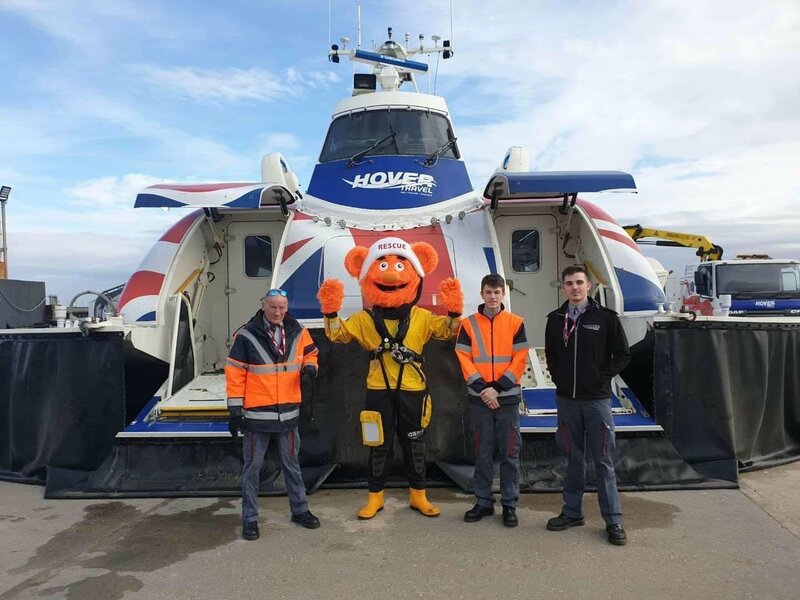 (5 April) Hovertravel welcomed Ryde Inshore Rescue’s mascot Rescue Ronnie to their Ryde terminal today. Go Orange Day is a national event held locally for independent lifeboat units which do not operate under the RNLI. This event is designed to raise the profile of the independent lifeboats country wide while raising vital funds for this much needed local unit. Everyone at Hovertravel from cashiers to crew and from pilots to product development supported the day to raise awareness of the Independent Lifeboats and the work they do. Throughout the UK there are around 60 lifeboat units that are not run by the RNLI and every year their volunteer crews respond to pager callouts in an identical way to the RNLI crews. Training is to the same high standard and all rescue craft must adhere to the same strict code as the RNLI. The Independent Units’ hope is that by all celebrating on the same day, they can highlight the number and contribution of non-RNLI units around the country.